2/4CH Micro DVR - Zowietek Electronics, Ltd.
4 Channel Micro Pocket DVR, a solid state four channel DVR, is one dedicated battery powered four channel DVR designed for portable, mobile DVR applications. It is a go-anywhere mini-standalone four channel pocket DVR with high resolution, DVD quality video and external CCD/CMOS camera support. 4CH Pocket DVR provides scalable video audio compression to record up to 32 hours in Full D1 quality on solid state drives. The record time could be much longer if motion detection is active or lower frame rate is used in surveillance. Generally, there are three level record modes, EP/LP/SP for record options. Interface to integrate with other system, customized video resolution, bit rate, motion detection, time stamp, Lap Timer and LANC, G-force and GPS are also available. Advanced and powerful 4 channel video processor makes 4CH Micro DVR can record 4 channel video in Quad, PIP, split etc at the same time. 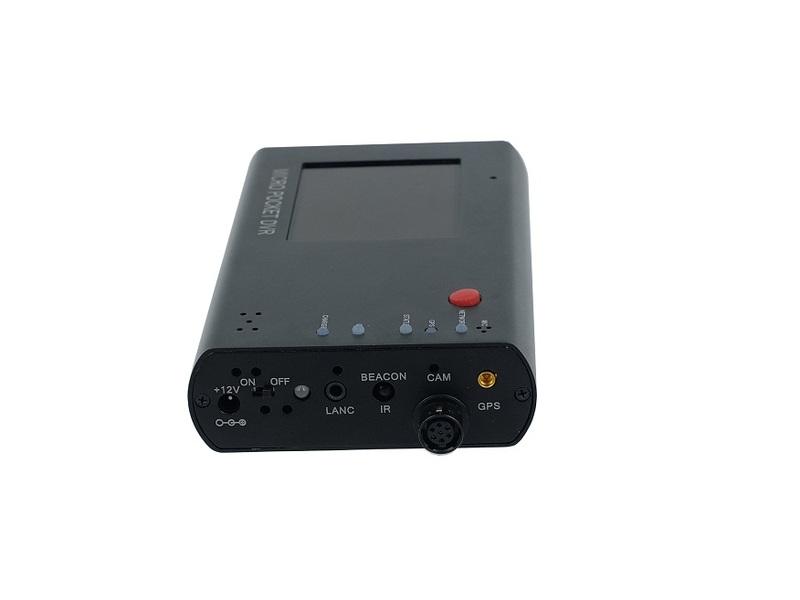 It also has one analog video output for the preview of camera or connect to traditional video recorder. 4CH Micro DVR makes monitor and record four camera at four different points at the same time possible. Real time OSD is supported for professional time stamp, video data log applications. 4CH Micro DVR is small enough to fit in your hand and offer broadcast quality video. It uses solid state drive, removable Compact Flash Card. There are various CF cards for option now in market. FAT32 standard file system is used in video storage, therefore the video files can be accessed by any PC via card reader or Express Card interface. Besides of battery, AC power is also available. 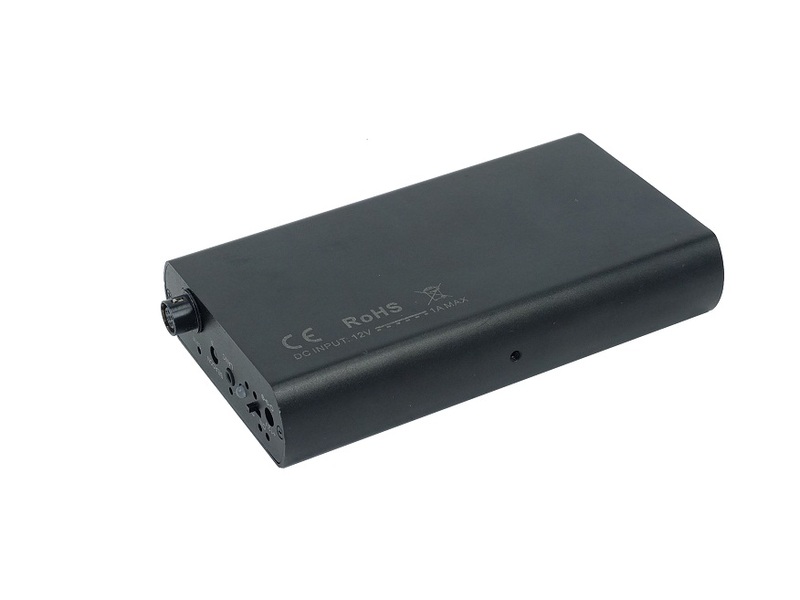 The 4CH Micro DVR comes with Industrial Lion polymer battery for standalone power. It will be charged automatically by on board charger while AC power is used. Battery and AC power can be swapped any time without the interrupt of operation of Micro DVR. Car cigarette power adapter can also be used to power 4CH Micro DVR or charge Lion polymer battery. 4CH Micro DVR can also be used as a video server to remotely monitor the video over the LAN or even Internet. 4CH Micro DVR is based on embedded powerful ARM processor with advanced hardware MPEG 4/2/1 and RTOS (Linux). It digitizes analog video into crisp, real-time MPEG 4/2/1 or video stream at a full frame rate of 30/25 frames per second. The MPEG video and audio are transferred to disk synchronously. It also offers advanced event handling with video motion detection, alarm notification and IR/wireless remote control. 4CH Micro DVR keeps all functions as its predecessor but it has more. 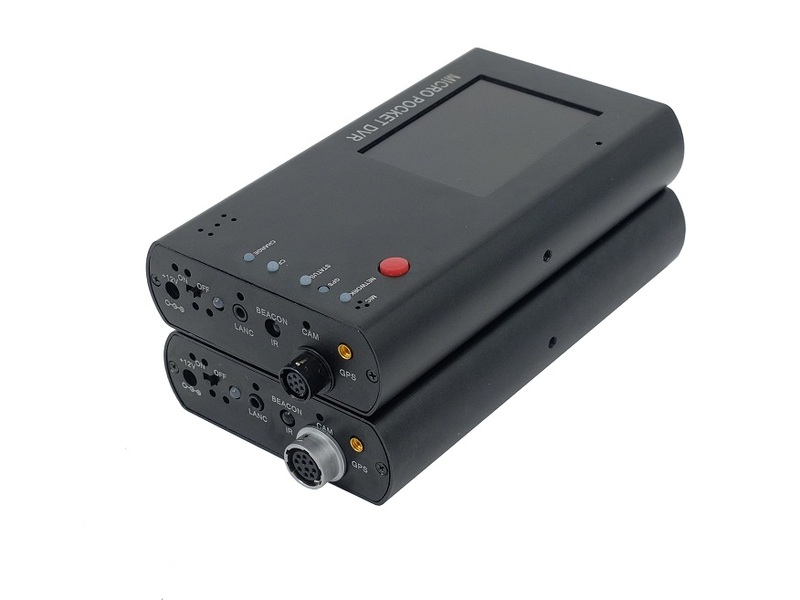 Powerful audio processor in 4CH Micro DVR makes the MIC gain adjust possible, so no powered MIC is required, Versatile MIC can be used and different gain of MIC can be selected for different noise environments. For auto racing applications, two diffrent sounds sources can be recorded at the same time by extern stereo MIC. Motion detection is also embedded in 4CH Micro DVR. An analog video output is supported to connect to external mobile LCD monitor to preview the camera video. GPS and G-force are optional functions for future extension. A single cable is designed to connect all external devices so no hassle cables entangled together. 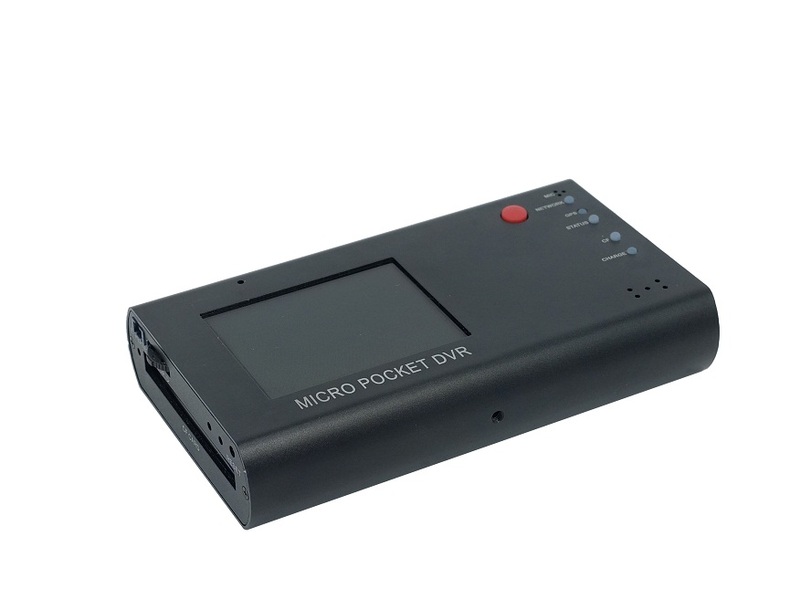 The powerfule 4CH Micro DVR can even power two external cameras with internal battery. 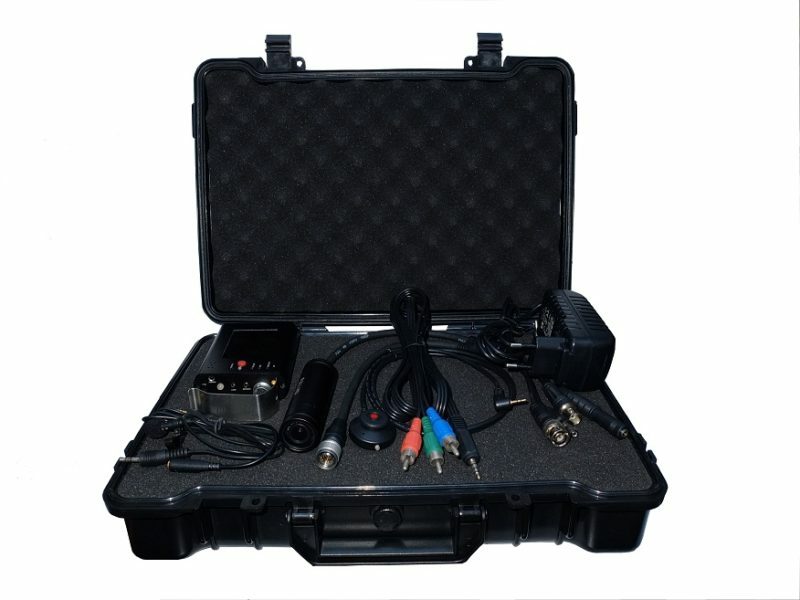 Furthermore, for customized orders, the MIC and video camera can be connected to one single cable to get rid of those flexible connectors. Additional digital I/O, RS232 are also optional interface. For outdoor sports, a removable belt clip is designed as standard accessory. 4CH Micro DVR can be used in almost unlimited number of situations, like digital security surveillance, mobile DVR, remote monitoring, spy, car/motorcycle racing and extreme sports etc. Uninterrupted battery and AC power swap for Micro DVR. Channel 2 (Stereo) MIC/Line In, Gain Adj.